The clarinet range is spread across a wide spectrum, from the elephant like bass notes at the bottom of the contra bass clarinet range to the birdlike notes of the soprano clarinet high register. This amazing range is also reflected in the popularly used B flat clarinet, which itself has a range capable of conveying many emotions and tonal colors. 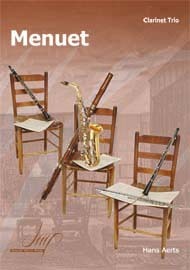 Able to play notes across three and a half octaves, the B flat member of the clarinet family has a greater range than any other woodwind instrument, and is able to produce a consistent tone and in-tune note across almost its entire range. 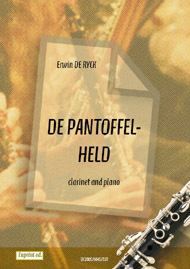 When using the two clarinets commonly used in an orchestra, a B flat and a Bass, a composer has an enormous range of notes and tone color to work with. The B flat can play from D3 (D below middle C) to B flat 6 (B flat just below C three octaves above middle C). The Bass version is an octave below this (from B flat 1 to B flat 6). 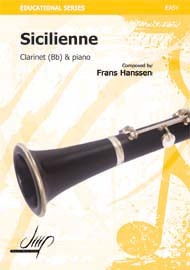 The range of both clarinets is divided into different registers – lower (chalumeau register), middle (throat register), upper (clarinet register, sometimes called clarion for the B flat instrument) and higher (altissimo register). When the whole family of clarinets is used, the range is extended even further. The contra bass instrument can reach two octaves below the regular B flat instrument, and a good instrument in the hands of a skilled player can reach even lower. The E flat soprano clarinet can reach an E above a C three octaves above Middle C.